The ubiquitous hashtags … arguably one of the most indispensable tools when it comes to making your brand’s social media content discoverable and getting your name or message in front of an audience that you may otherwise never have been able to reach. In 2018, you’d be hard pressed to find someone who doesn’t know what a hashtag is. But being familiar with something and genuinely understanding how best to use it successfully when it comes to marketing strategy are two very different things. Here is our definitive guide to everything you need to know about making hashtags work for your brand, including how best (and how often) to use them successfully on the major social networks. But first, how about a bit of hashtag #history? The hashtag as we know it was first used in the tweet above in August 2007. As legend has it, Chris Messina, a social technology expert, proposed the use of a symbol–the pound sign–on Twitter as a way of categorizing the content that was otherwise haphazardly tweeting its way around the social platform. Originally rejected by the Twitter powers that be, the platform’s users nevertheless started to increasingly include hashtags in their tweets to help organize their messages. By 2009, Twitter itself finally embraced the hashtag, and introduced a search tool to help its users see who else was tweeting about a particular topic. A social media #star was born. Since then, the hashtag has found its rightful place as one of the best bang-for-your-buck tools of most successful social marketing campaigns. But only if you know how best to use them. Hashtagging in marketing has become so widely adopted because of its powerful ability to drive traffic and engagement. No other tool, organic or otherwise, allows brands to connect with users so simply and successfully based on a common interest or idea. Across virtually all social platforms, hashtags are searchable. Using the right hashtags (as well as the right number of hashtags) will help you get broader reach and greater response on every post your make. By categorizing your content with hashtags, you are making it discoverable. Whenever you post a photo on Instagram or tweet on Twitter, you should be including hashtags. Every. Single. Time. The numbers don’t lie: on average, Instagram posts with hashtags receive 12.6% more engagement that those without them, and hashtagged tweets enjoy about 55% more retweets. Maybe that’s something you already knew. But here’s the clincher: to do it correctly, you should only be using hashtags that serve a purpose. The more specific and relevant your hashtags are, the more targeted your audience will be. Consider this example. 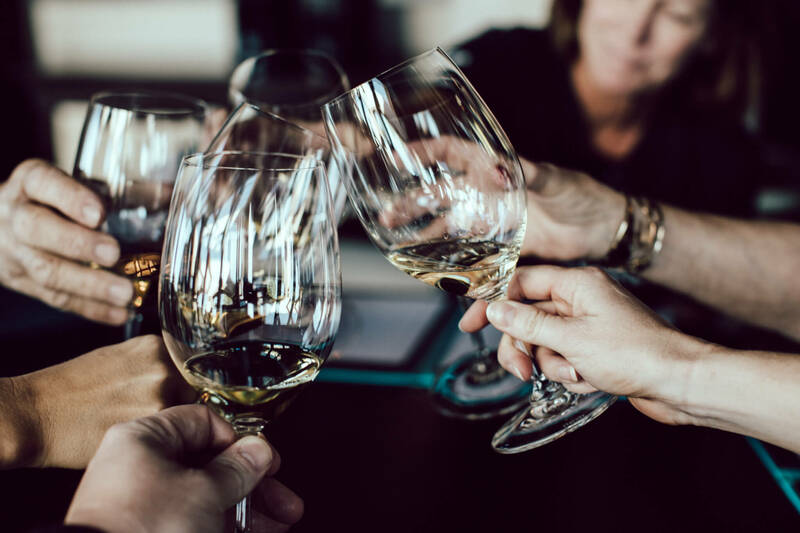 You are a restaurant and wine bar called Bin 72 located on the Upper Westside of Manhattan that wants to promote an upcoming fall wine pairing event on Instagram. Which set of hashtags do you think will be more successful in getting your message in front of the right audience? We’re all for #InstaFun as much as the next guy, but broad, irrelevant hashtags have no place in a purposeful hashtagging strategy. You can imagine that a click or search on any of the first three terms would yield almost infinite resulting posts, while the latter three, more specific hashtags are things that someone actually within this business’ target audience might be searching for. 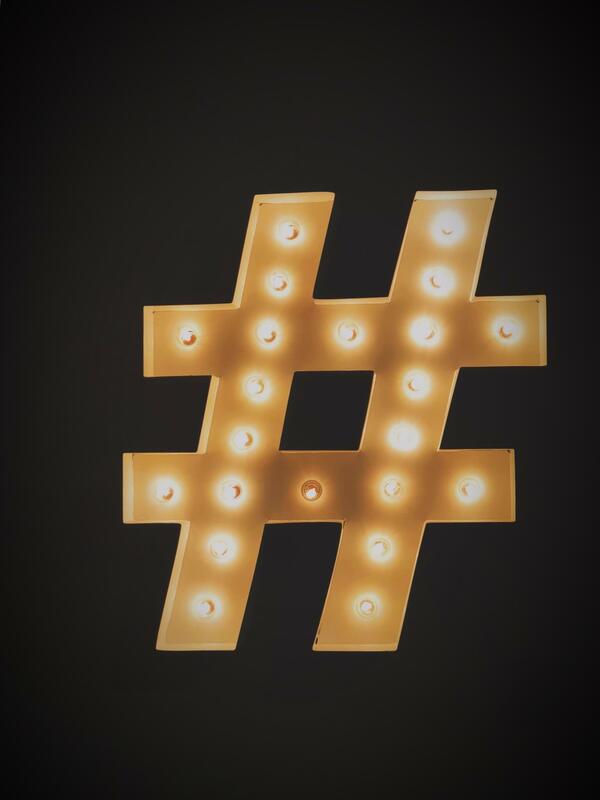 How many hashtags should you use? The answer varies based on the platform you’re working on, and who you ask. The Instagram algorithm seems to be the most generous of all the social platforms in terms of its tolerance for the number of hashtags per post. If you were to Google this question, you’d probably find the answer seems to lie somewhere between nine and eleven. We say: there is no one magic number for every post from event brand. The idea is to use just enough hashtags to include the relevant terms to make your post discoverable. Social media experts vary in their opinion on the best way to include said number of hashtags on Instagram posts. While most agree that brands should avoid putting them in the caption of the post for fear of distracting from their message, some suggest posting them in the first comment after the post has been made, while others propose that brands ‘hide’ them in their captions using the Notes app to create a series of dots and returns. Back in the day, it was not unusual to find more words and phrases hashtagged than those that were not in any given tweet. But it seems that even on Twitter, experts recommend, as of late, that less is more. While tweets with one or two hashtags see, on average, about 21% more engagement, additional hashtags tend to see engagement drop exponentially. We say: this data, coupled with the character count limit on tweets, means that taking the time to select just the right words or phrases to ‘spend’ a hashtag on when tweeting is key. More on that in a bit. Read up on the topic, and you’ll likely find as many proponents of using hashtags on Facebook as you will those who have sworn them off completely. This is due, at least in part, to the fact that Facebook was a latecomer to the hashtag game, introducing them to the platform in 2015, and to the lack of instruction from Facebook itself on best practices for employing hashtags on the platform. We say: we know that there are billions of searches conducted on Facebook each day. If you are able to find a targeted hashtag that might help your post to appear in one of those searches, a well-placed Facebook hashtag probably can’t hurt. Where once hashtags felt a bit too uncivilized for use on the strictly professional social network, LinkedIn itself has announced recently that hashtags are, in fact, recommended and searchable on the platform. What’s more, in an effort to help their use to catch on, the platform provides hashtag suggestions to a user before their post goes live. We say: with many users still slow to adopt hashtags on LinkedIn, a post with well-chosen, relevant hashtags may have less competition to go to the head of the class in search results. No definitive word from LinkedIn on how many tags are optimal on each post, so to be on the safe side, we’d say again that less is more. So, what should you be hashtagging? One relatively easy place to begin is to create a branded hashtag that is unique to your brand, or to a particular campaign you might be launching. For example, we use the hashtags #CMDS on all of our Instagram posts. Why? If a user comes across a post of ours that they find incredibly useful, interesting or otherwise engaging, they can click on the hashtag (or search by it) and instantly generate a screen full of all of the posts we’ve ever made. While there may be one or two posts made by someone else that sneak in, we’ve experimented with this term enough to see it’s not one that’s commonly used by anyone else. What’s more, we can use this branded hashtag for social listening, to track who might be talking about us, or to track entries in a giveaway or participation in a campaign we run. The secret to success with branded hashtags is to not only find one that is exclusive to your brand or campaign but to be consistent in your use of it. 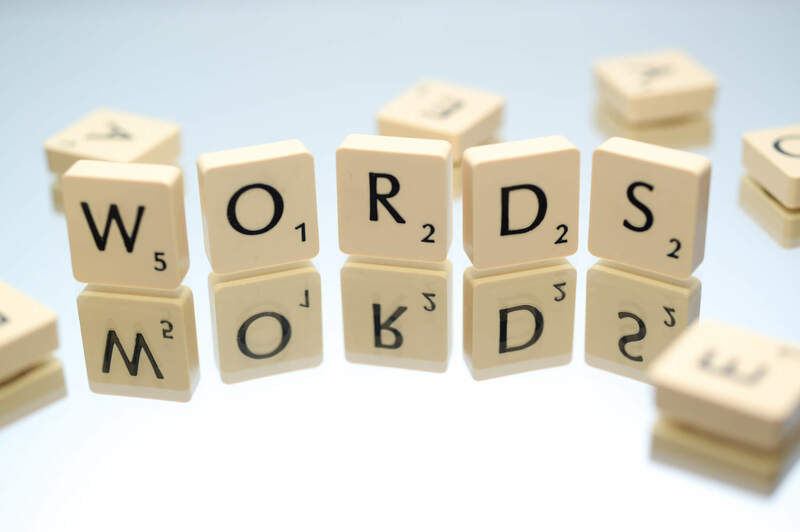 After that, zeroing in on words or phrases that are as specific as possible to the audience you are trying to reach, or to a particular event or trend that you are trying to be identified with, is critical to your success on any platform. Research is key. Spend some time on each social network checking out what hashtags your competitors and social influencers in your industry are using, and how they are using them. Conduct searches of your own to simulate what your audience might be looking for, and what they might be discovering. One last piece of advice while we’re on the topic of research. Take care to make sure that any hashtag you use means what you think it does. In the earlier example of the New York City wine bar, imagine they thought it might be effective (and cute) to tag all of their Instagram posts with a branded hashtag. If they were smart, a quick search before they added #Binstagram to every post they made might reveal that this was a popular hashtag used by Instagram users posting photos of garbage cans. Probably not the image they were going for. Hashtags are arguably one of the most powerful organic tools at any savvy social media marketer’s disposal. While it may take some experience and experimentation to use them correctly, the value they bring to any brand’s social marketing strategy is well worth the effort.